The Politics of Teacher Professional Development: Policy, Research and Practice provides innovative insights into teachers’ continuing development and learning in contemporary western contexts. Rather than providing a list of "how-tos" and "must dos," this volume is premised on the understanding that by learning more about the current conditions under which teachers and other educators work and learn, it is possible to understand, and consequently improve, the learning opportunities teachers experience. Teacher professional development is not simply construed as an isolated series of events, such as day-long workshops marking the beginning of each school year or term, or individualistic "one-off" activities focused on new teaching approaches, curricula or assessment strategies. Rather, through application of sociologist Pierre Bourdieu’s understanding of social practices as contested, teacher professional development is revealed as a complex social practice which exists as policy, as a research product and process, and as an important part of teachers’ work. 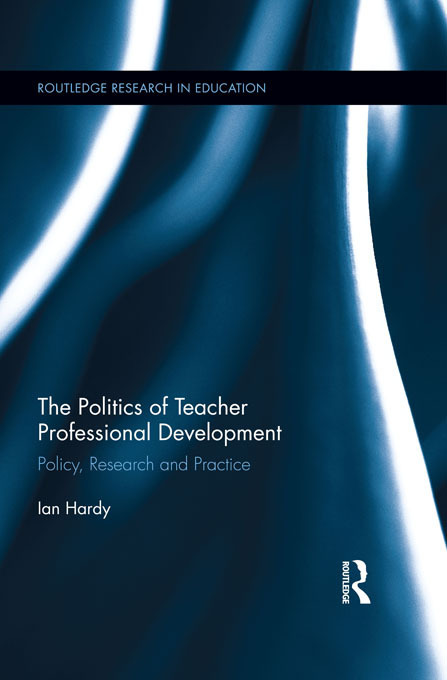 The book reveals how PD as policy, research and teachers’ work are inherently contested. An extended series of case studies of teacher professional development practices from Canada, England and Australia are employed to show how these tensions play out in complex ways in policy and practice. Ian Hardy is Lecturer in the School of Education at the University of Queensland.